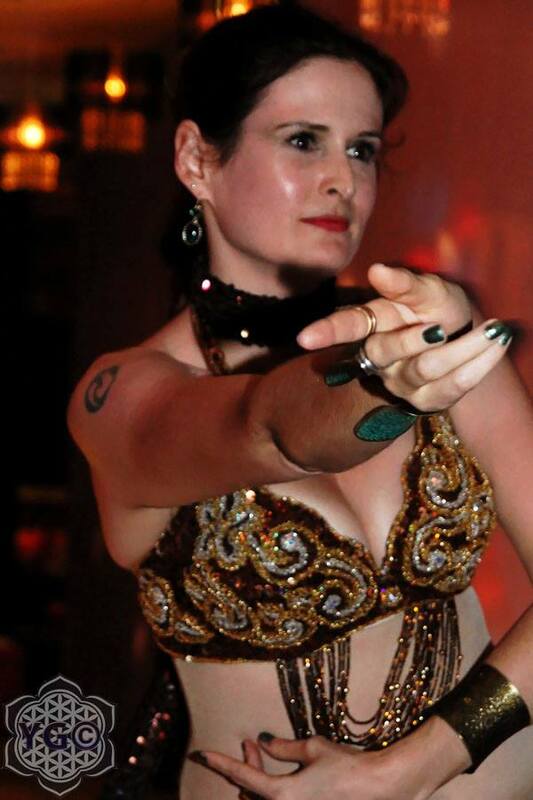 Just to prove to all of y'all that I actually am a real person AND actually a woman AND actually a dancer -- and not some weirdy little dude called Dale who has limited contact with the outside world and a strange, some might say unnatural, relationship with his mother -- here is a photo of me 'dancing' at Hafla on the Hill in Camden last Thursday. The best thing about the whole performance was my nail varnish, which isn't done justice in this pic. I was very proud of it: layered black and gold glitter over lizard green, so as to match my bedlah and skirt. The worst thing was the woman in the front row who yawned conspicuously when I started and didn't cover her mouth. Rude. Who knows what's happening with my hands here? Not me. On the plus side, at least they're not flopping around like landed fish. I think it's a lovely picture! Your hands look really strong. I agree, it's interesting (and pretty). I want to know what you're thinking about! !